Yummie Delite is a brand to be reckoned with in the fast food industry in Nigeria because they took a leap from the regular norm to a well defined and distinct position. Before now, the usual conventional fast food operation is location based. That is, you have to come to a location before you enjoy your delicacies in a convenient and serene place. In the same vein, some took the giant step to make delivery of ordered food to loyal and committed customers at a specified place. Customers would have to come personally or call to place the order. None of these food operators have thought it worthy to get a platform that would make these transactions more convenient, easier and faster except Yummie Delite. 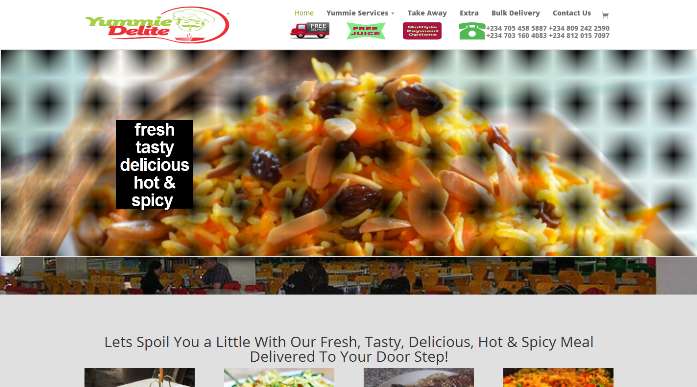 Yummie Delite got a website that people can make order and they deliver it to any destination specified. That is the power of e-commerce website to a business like fast food restaurant. 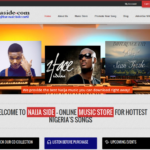 We designed their website using woocommerce as framework to deploy and process the flow of order up to payment point. Yummie Delite stocks Basmati rice, spaghetti, sausage of different spice and combination, assorted beef, chicken and fish of different brand. They also engage in outdoor ceremonies like marriage, birthday, conference and events in general.